This page covers the author of The Magic Mountain. For other authors named Thomas Mann, see the disambiguation page. The Salon: Classics Book Club meets at 7:30 p.m. to discuss Buddenbrooks by Thomas Mann. Balzac, Lost Illusions. ; Charles Dickens, Hard Times. ; Émile Zola, L'Assommoir. ; Thomas Mann, Buddenbrooks. ; Henry James, Washington Square. ; Narcís Oller, L'Escanyapobres. 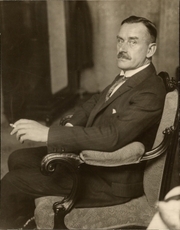 "Thomas Mann" is composed of at least 6 distinct authors, divided by their works. You can edit the division. Thomas Mann is composed of 11 names. You can examine and separate out names.